Ekiti State Governor, Ayodele Fayose, has called for the devaluation of naira, saying with the gap between the official rate of N199 and parallel market rate of up to N400 to one dollar meant the currency has already been devalued. According to him, the current forex policy is short-changing Nigerians and it has caused collapse of business with prices of goods skyrocketing every day. 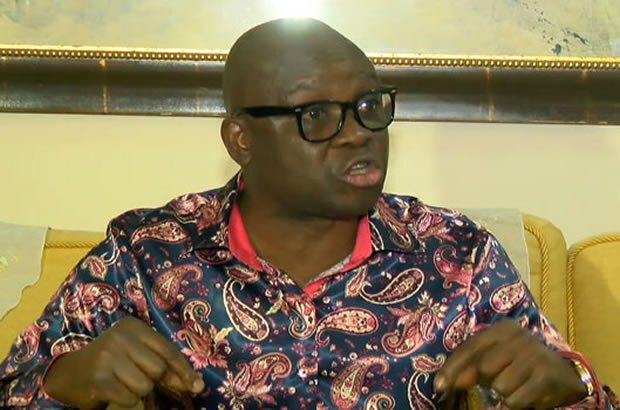 In a statement by his Special Assistant on Public Communications and New Media, Lere Olayinka, on Sunday, Fayose said it made no economic sense for the Federal Government to keep calculating the country’s revenue on the basis of the Central Bank of Nigeria official rate of N199/dollar. This, he explained, was because states and local councils, which share the revenue, run their business at the parallel market rate. The governor, who lamented that the gap between official rate for the dollar and parallel market rate had never been up to or more than N200, stressed that the current forex policy encouraged corruption. He urged the president to pay more attention to the ailing economy of the country instead of travelling around the world. He said, “President Buhari has travelled to 24 countries in eight months, and will be spending 16 out of the 29 days in February outside the country, with over $500,000 being spent on estacode while the Presidential Air Fleet, which includes fuelling of the planes and allowances for crew members is said to be in the range of $500,000.